The pace of mouse carnage here at The Fahm is picking up. So much so in fact that we have seen enough mice (usually dead or severely traumatized) to determine that we have not one but *two* types of mice infesting our home! One type is a very small mouse that hops; the other type is a rather larger mouse that runs. It could be adults/children of the same type but their way of movement is so distinct that we suspect more than that is the difference. We have taken to shutting The Kittehs - or at least Lola, who has evolved into Our Main Mouse Dispatcher - out of our bedroom at night since we both flinch now whenever she jumps on the bed, which cuts into our restfulness something awful. However. Lola does not like to be shut out of our bedroom at night and so makes determined and often successful attempts to avoid same. Our bedroom has two doors, and shutting her out of one of them is small guarantee that she won't instantly materialize at the other one, confounding all laws of physics where space and time travel are concerned. Last night was one such night. We shooed both Kittehs out one door and by the time we'd gotten to the other, Lola was there, stepping just inside. At 3:30 a.m. I woke up trapped like Gulliver, pinned to the bed by Kittehs on top of the blanket, one on either side of my legs. Then I heard a noise. So did Tricksy. She was first off the bed, directly at the foot followed almost immediately by Lola. I could tell they were in pursuit of something but was so relieved to have feeling returning to my legs that at first I ignored the Wild Kingdom drama playing out at the foot of my bed. After a moment my conscience got the better of me so I turned the bedside light on low and got up to investigate, first being very careful to slip on zorries before moving from the bedside. I live in fear that I will step on a mouse corpse on my way to pee in the middle of the night; I am always shod after the sun goes down. Lola made small cooing noises in her throat, then began to purr when she saw I was up; Tricksy just looked at me coolly then turned her gaze down, toward the mouse. 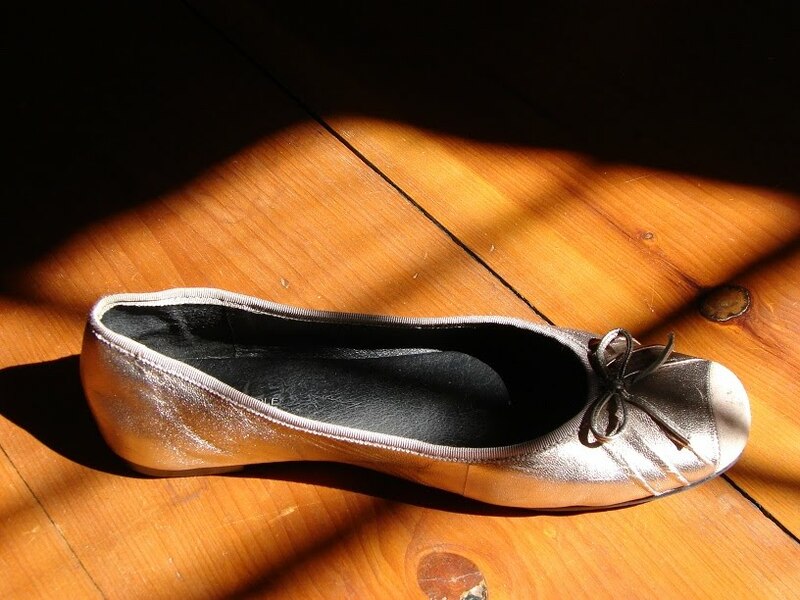 The mouse, a dead one of the small hopping variety, was lying in repose inside one of my SHOES, a lovely little ballet flat, thoughtlessly abandoned at the side of the bed. I pried The Kittehs away from their prize, herding them together out one door; this time I made it to the other door in time to keep Lola from strolling right back in from the other side. I did not wake Raj up to deal with the wreckage; I knew the Mouse would be fine in my shoe until daybreak. And it was.